Consumer goods with low life spans means products need to be replaced more frequently. Planned obsolescence has existed for years and is a policy of deliberately creating consumer goods that quickly become obsolete and need to be replaced, which could be because the item was made using nondurable materials, frequently changing the designs for next gen models, or terminating the supply of replacement parts. Thus, these types of products are not only purposely designed to ensure that consumers will end up spending more in the long run to replace them, but that the need for frequent replacements also means more consumer waste. Some countries have made specific rules to control this trend. While the planned obsolescence trend is notably present in the technology industry, it is also expanding in many other areas in which goods and appliances are purposely being produced so that they will have a shorter lifespan. As such, some countries have taken steps to protect consumers by implementing some control over products that have been created under the planned obsolescence policy. For instance, France has established a law that requires manufacturers of certain gadgets, especially appliances, to display the expected lifespan of their product (ex. the estimated number of wash loads). The goal behind this law is to eliminate planned obsolescence. The hope is that consumers will see products with shorter life spans as being less valuable and more costly over the long-term compared to longer lasting goods of a higher quality. Some companies have implemented green programs to help combat the planned obsolescence trend. While not every country in the world has legislation in place to control the trend, some forward thinking businesses have taken it upon themselves to implement their own strategies in an effort to combat it. US-based Mogix, a manufacturer of external batteries, is one such company that has decided to move against the planned obsolescence trend. “Our return rate is one of the lowest in the industry, but all batteries do have a shelf life, whether they are in your phone, a power bank or in other gadgets and household items,” said Angela Linders, the manager of customer experience at Mogix. Linders supports the French law’s requirement of companies to disclose their products average or predicted lifespan, and has made it no secret to consumers that the Mogix power bank’s approximate lifespan is 500 cycles. More specifically, for the average consumer, this means the device will last two or more years depending on factors such as the frequency of charging and the number of gadgets that are charged on a regular basis. Furthermore, Linders explained that how consumers care for their devices can help to ensure they receive the most life from their power bank and also the best battery life for their smartphone. Mogix regularly releases practical and educational information to help their customers take the best care of these devices. The company hopes that educating consumers and providing them with practical tips will be only the start of a much bigger green program in their move against planned obsolescence. 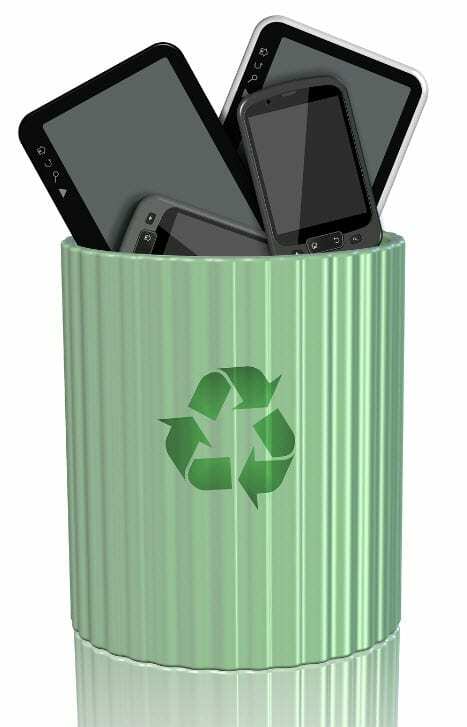 Next year, Mogix intends to launch a recycling service that will allow consumers to submit their old rechargeable device battery (regardless of the brand or make) to the company for free so that it can be recycled properly.